I’m at the Burbank airport waiting for my extremely delayed flight. Instead of being negative, I am reflecting on my favorite meal of the weekend in Los Angeles. Hands down it was dinner on Friday evening at Plan Check Kitchen + Bar. It’s not a fancy restaurant, but a gastropub in the Beverly Grove, a pretty hip area in L.A. It was a last minute decision to go there and was anything but planned. My friend and I started out with cocktails and shared a few items. 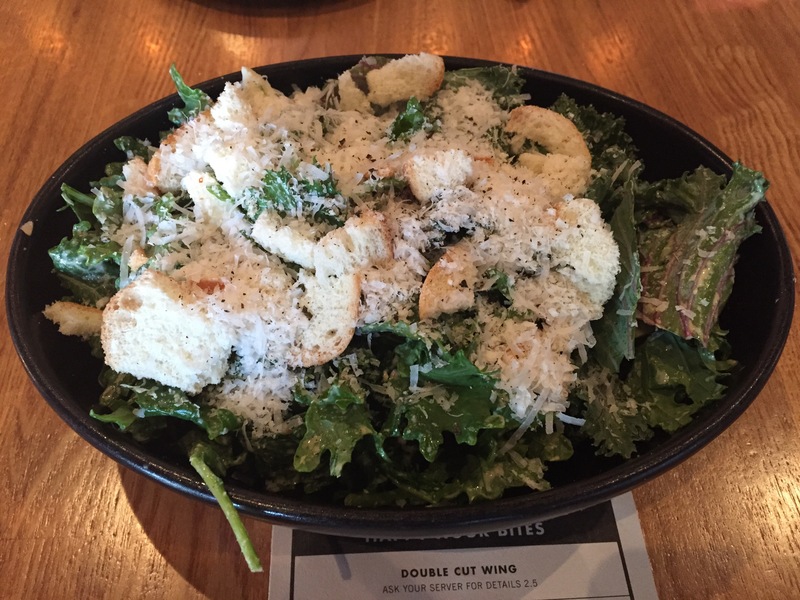 Feeling like balancing our meal, I ordered the kale caesar salad which was made up of chopped kale, hearts of palm, parmesan cheese, and croutons in a caesar dressing. The kale was crunchy, but not tough. It was a bit heavy on the parmesan, but after a quick toss was quite tasty. 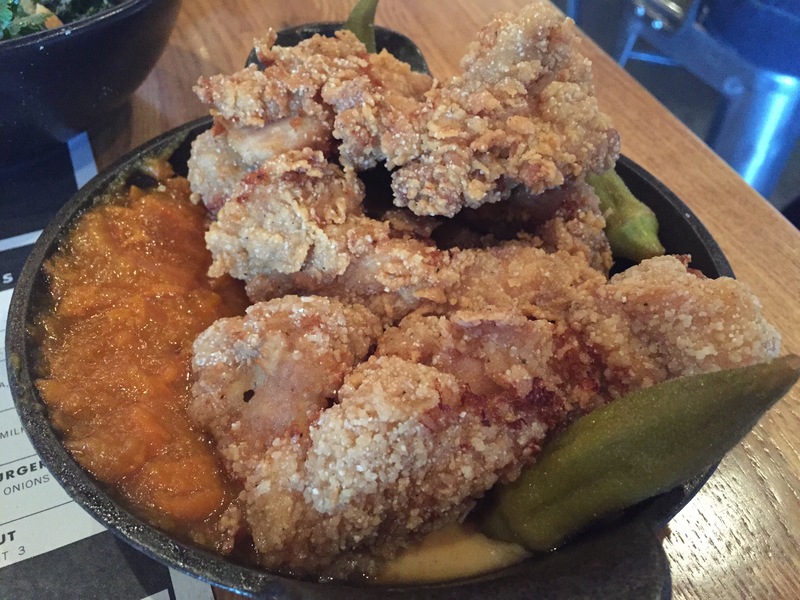 I ordered the smokey fried chicken to share which came with yam preserves and spicy pickled okra. The chicken was crisp, tender, and permeated a smokey flavor. The smokey flavor was unusual and I loved it. 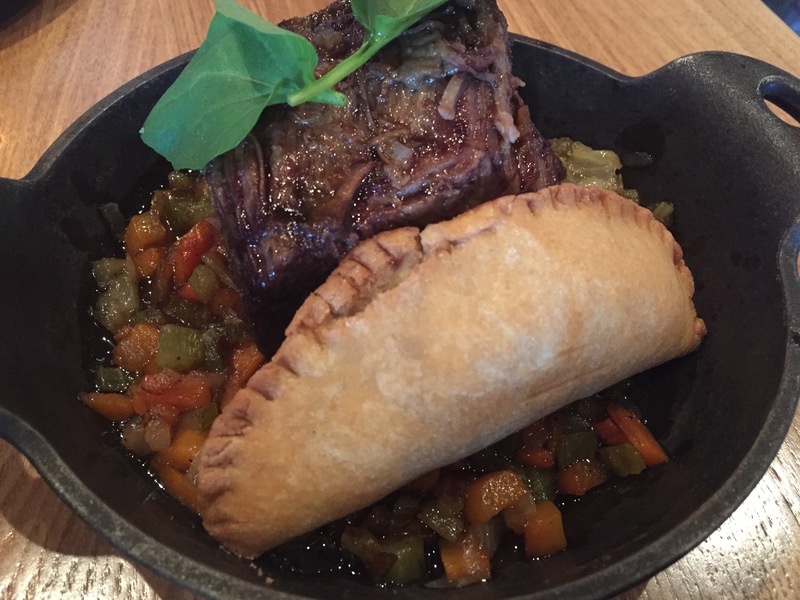 My friend ordered the short rib pot roast which came with a bone marrow turnover. I tasted the short rib and it was good, but not special. I was excited about the turnover, so my friend gave me half. 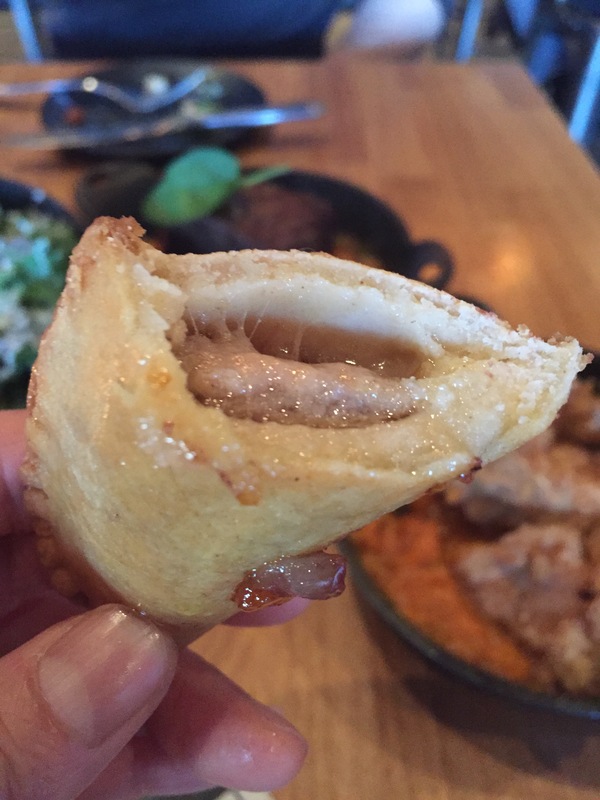 It is an interesting concept to put bone marrow in a turnover. I thought the pastry was dry and the marrow lacked flavor so I was disappointed in this dish. 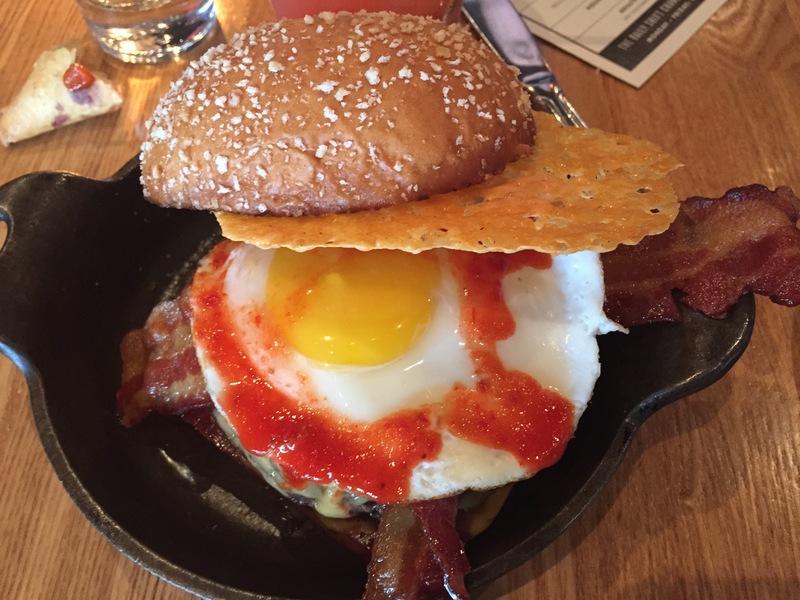 I was a bit intimidated with the description of the chefs favorite burger which has cheese two ways, bacon two ways, a fried egg, hot sauce, and ketchup leather. I decided to go with it and I was so glad I did. It was probably one of the best burgers I have had in my life. It was juicy and balanced in both flavor and texture. I liked the idea of the parmesan crisp on the burger. I also really enjoyed the ketchup leather. Imagine a fruit roll up made out of ketchup. I thought it was pretty cool because you don’t need to worry about ketchup dripping on you. I gave my friend half so he could enjoy it too. Plan Check Kitchen + Bar is fun and innovative. With three locations in the Los Angeles area, I highly recommend it for locals and visitors.